“Lewatle” means “ocean” in the Sethoso language of South Africa. 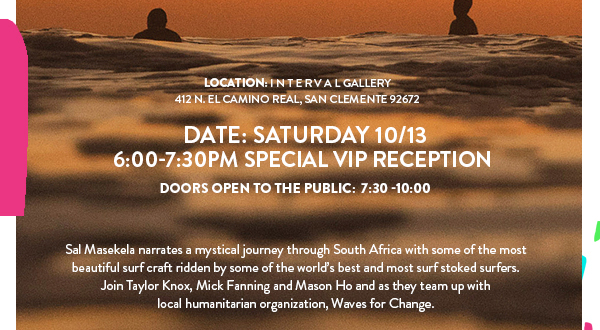 Mick Fanning, Taylor Knox, and Mason Ho teamed up with Waves For Change to share the transformative power of the ocean and change lives for kids in South Africa. 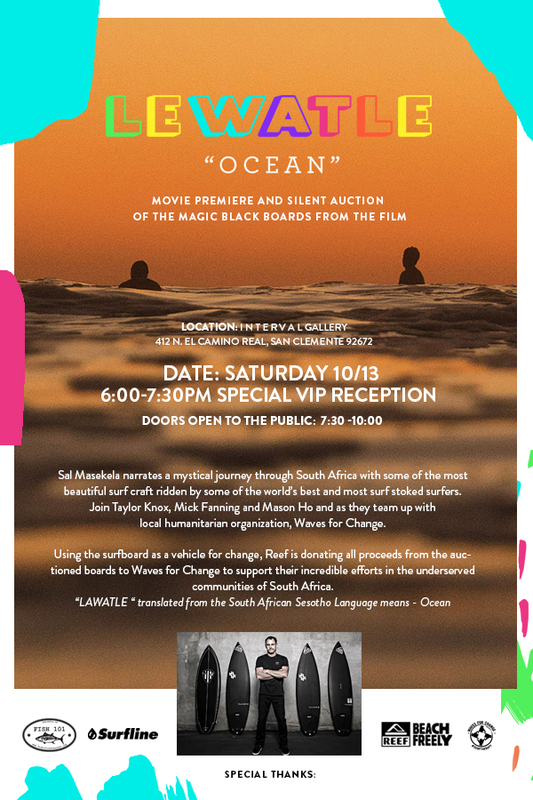 Join Reef and Surfline this Saturday as they premiere the movie *Lewatle* and auction off the boards from the film with all proceeds going to Waves For Change.